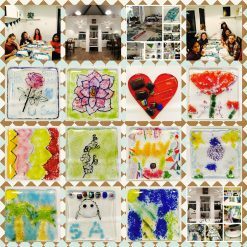 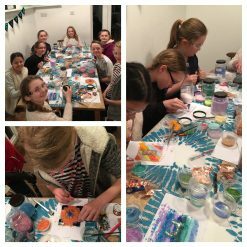 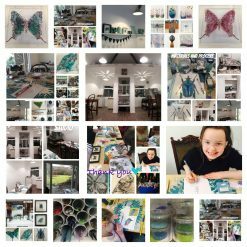 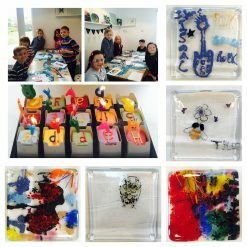 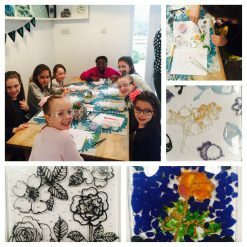 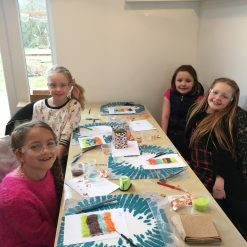 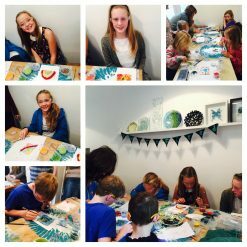 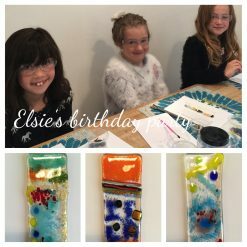 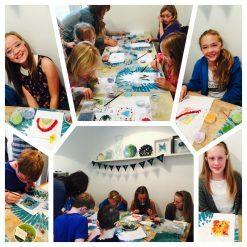 Children’s ‘cake and make’ glass parties are really popular with creative children from age 5. 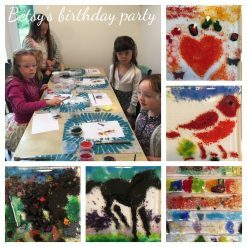 Also included is a joint piece made for the birthday person by everyone at the party. 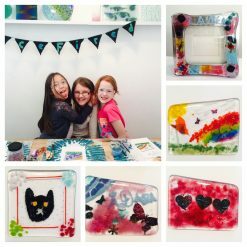 Silver – you make a 12cm hanging decoration and then choose from coaster, 12×12 glass art, small bowl, plate , candle arch. 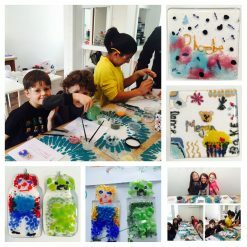 Gold – hanging decoration, coaster and trinket box, photo frame, pocket mirror, Jewellery.